January 17, 2017 (Tony Cartlaucci - LocalOrg) - Did you know nearly 100,000 people in Flint Michigan are still drinking poisoned water? That should be no surprise. 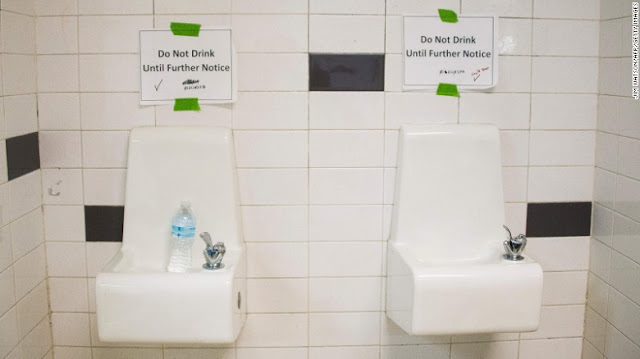 The government and institutions charged and trusted to ensure the residents of this Michigan city had safe drinking water already demonstrated criminal levels of negligence and corruption, causing the problem to begin with. Expecting these same people and the system they represent to solve the problem lingers somewhere between the unreasonable and the absurd. US President Barack Obama declared a federal emergency in Flint over a year ago - meaning that the problem isn't just corrupt, negligent, and criminal politicians in Flint - but that the incompetence and impotence goes all the way to Washington. A year on and the "solutions" presented have ranged from simply forcing residents to buy bottled water and unsustainable charity providing those bottles, to superficial, even deceptive measures like replacing home faucets instead of the miles of poisoned plumbing running through the city. As for actually fixing Flint's plumbing, government estimates range from "millions" to "billions" indicating no serious thought has been given to even so much as planning an infrastructure overhaul. It is most certainly a showcase for the absolute failure of government. But could it be a showcase for something more positive? Anarchists and agorists propose that there is virtually no problem that cannot be solved through the market - voluntary exchanges between free citizens contributing to a better future. The few, semi-permanent solutions that have presented themselves in Flint have certainly leaned more toward this direction. Atmospheric water generator (AWG) company, EcoloBlue, donated 250 of their machines to the residents of Flint. 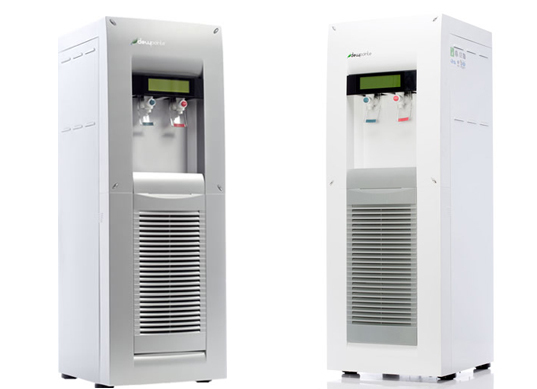 However, at 1,200 dollars a piece, and requiring proprietary filtration systems, it is hardly the right fit for this particular market. Beyond charity or a large government subsidy, these machines will not reach many more people. However, AWGs produce water in precisely the same way a conventional dehumidifier does. It cools down a condenser so that moisture in the air condenses on it, then falls into a collection basin below. AWGs however include an additional filtration stage and a dispensing system. They also feature food-grade materials across all of their surfaces which conventional dehumidifiers may not. The EcoloBlue units also include features that may not be as necessary and have helped contribute to their relatively steep price. These include hot and cold water dispensing capabilities and a computerized touch-screen monitoring and control system. Creating a barebones design that both fits the market in Flint and provides reliable, decentralized, and most importantly clean water production for people, should not be a difficult challenge to meet for local entrepreneurs, innovators, and makers - or even EcoloBlue itself. 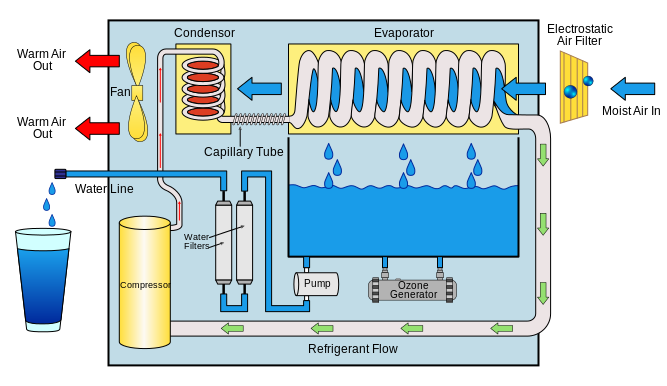 An opensource design, based on a simple dehumidifier with stainless steel condensers and a widely available, generic water filtration system could easily be developed and fabricated in virtually any machine shop or makerspace in the state. While the costs will need to be low, the market for efficient, simple, and opensource water generators may make up in volume what is lost in big-ticket sales. Small businesses that form around this project could branch out, building a line of products to target different markets and price ranges over time. Larger units operated by business owners and community centers like churches and clubs, could bottle and dispense/deliver clean water to residents as a stop gap. There is a potential to create water-independence in Flint like some communities have created for food and energy elsewhere. It is the prefect project for technologically informed anarchists and agorists to prove their principles in practice, facing and overcoming a challenge government has demonstrably failed to meet. It is also a perfect opportunity to gain a foothold in the area of water independence, a crucial but often overlooked aspect of moving from centralization to localization. Michigan-based Libertarian politician Tiffany Hayden has spent a large amount of time attempting to draw attention to the Flint water crisis - with many people believing - thanks to the corporate media - that the crisis is long over. She has also attempted to approach local charity organizations, lobby the government, and stir up public support for action - any action - to address the crisis. 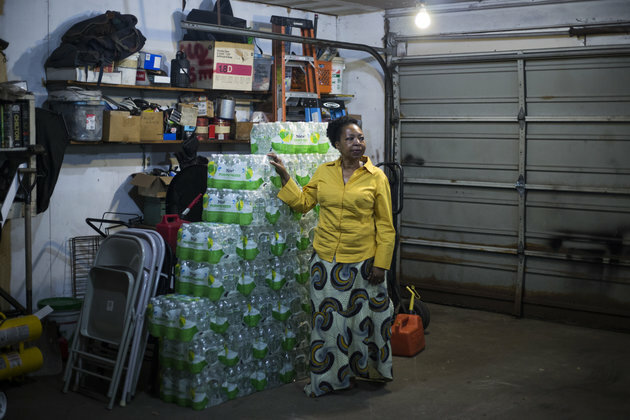 She laments that even residents who are literally drinking poisoned water, have been lulled into apathy by handouts, superficial remedies, and an overall lack of awareness and leadership. Because lead poisoning is gradual, residents do not make an instinctive link between the poisoned water they are drinking and the problems it is causing in terms of health - both mental and physical. While proponents of anarchy and agorism tell Hayden that asking the government to solve a problem of the government's own creation is futile - making a valid point - and "free market" solutions are the alternative - no tangible solutions have actually been proposed, let alone implemented. Solving the Flint water crisis, however, would go far in validating anarchy and agorism as no longer ideologies, but an actual tool set used to solve real world problems when politics and politicians inevitably fail. The problem facing free-market proponents attempting to prove their principles work better in practice than the existing system, is how to approach and "sell" clean, opensource, decentralized water independence to the people of Flint and beyond. And if charity or crowdfunding is employed during the Flint water crisis, it should be focused on permanent solutions that provide permanent water independence - not bottles of water that are literally here today and gone tomorrow and benefiting only corporations like Nestle, Pepsi, and Coke instead of local businesses. Elon Musk has dedicated himself to two apparent goals - making humanity a multiplanetary species, and creating solar-electric infrastructure. His electric car company, Tesla Motors, approached enthusiastic people first, then with successive models, he made his cars both more appealing to regular people and more accessible. Throughout the growth of all of his businesses, he carefully balanced market realities against his own ideals. In other words, ideals that ignore market realities will remain intangible ideals. And pursuing market realities without ideals becomes aimless and unsustainable. He has stated that he believes nearly all problems can be solved in the markets. Luckily for those attempting to move into water independence, the technological hurdles are not quite as steep as launching rockets into space or designing and manufacturing thousands of electric cars. And because Flint is already undergoing a long-term water crisis, those making machines to address the crisis can likely find labs at local universities to help test the water their machines produce to ensure it is not only safer than Flint's poisoned water, but safer than anything available, even in a bottle. Below is a list of makerspaces in Michigan that likely have the tools and talent, and perhaps even the business acumen to approach and overcome this crisis. Solving it will not only provide them with viable small businesses, but will also highlight for a wider audience the growing role in their community their makerspaces play as important local institutions.